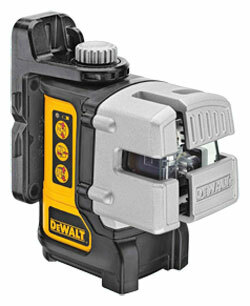 The DeWalt Self-Leveling 3 Beam Line Laser Level is built with extra bright red lasers and for 90° layout applications. This laser is twice as bright as standard red lasers and gives up to 50’ working range. Class 2 laser with a 620 - 690 nm visible wavelength makes this laser powerful and super bright. 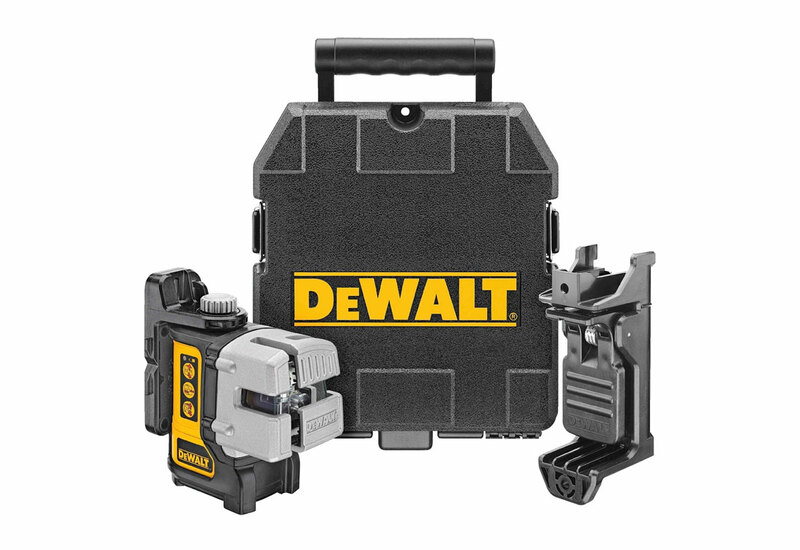 High accuracy, with a variance of only +/- 1/8" at 30', ensures fewer measurement errors, saving you time and money. Choose between horizontal lines, vertical lines and vertical side lines with the keypad on the level, making it effortless to change laser patterns. Self-leveling and will find plumb as long as positioned on a flat surface within 4° of level. Lightweight and compact, this level is easy to adjust to find plumb. Low battery indicator flashes when the battery is low and needs to be changed out, so you don’t get stuck in the middle of a project without power. The pendulum is lockable to help protect internal components when the laser is powered off, ensuring longer life of the laser. The built-in bracket has a slot at the top for hanging the level on a nail or screw and has a clamp that can be attached to wall angle to aid in lining up acoustic ceiling installations. Has a 1/4" x 20 female thread connection on the base for versatility and easy mounting on a tripod or other accessories, saving you time. 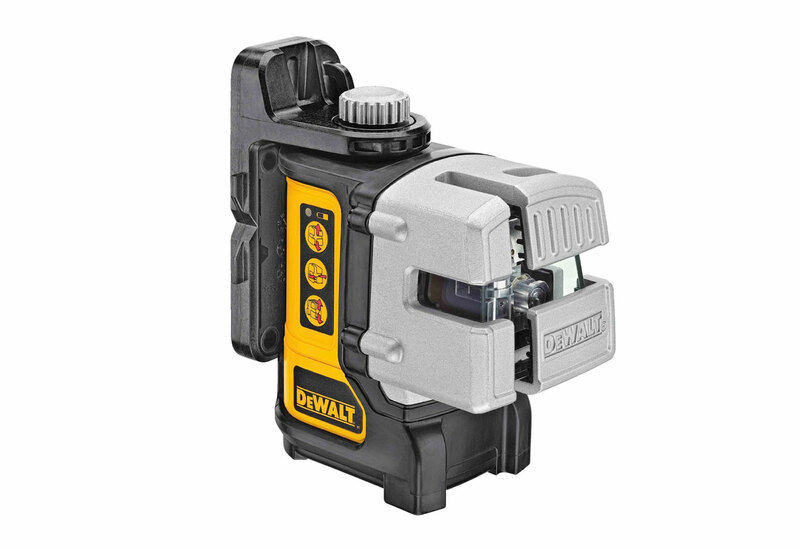 This level is water resistant making it hard working and built to handle a variety of job sites. Optimal operating temperatures are -10°C to 50°C making this level perfect for a variety of work environments.